Bethpage Park Tennis trains players to excel with greater success than any other eastern camp because of its unique staff. Since year-round program are conducted, Bethpage Park employs proven, full-time professionals to oversee the camp. The rest of the staff is comprised of top-ranked students, many of whom are college standouts, to ensure quality, enthusiasm and continuity of instruction. 1414 Jerusalem Avenue ♦ North Merrick, N.Y.
Carefree stresses the positive approach of competition, which gives juniors perspective both on and off the tennis court. In the long run, this brings out the confidence to succeed in whatever our students venture into later in life. The key is to develop behavioral characteristics of success for all of our students: Vision, action, responsibility and independence. Carefree’s staff is comprised of knowledgeable and caring counselors, some of who were, or currently are, college players who also trained at Carefree. The program is directed by Louis Vallejo, and with 27 years of tennis experience, Louis has coached juniors of all levels of play. Along with his head pros, the tutelage of Carefree’s students is unsurpassed. 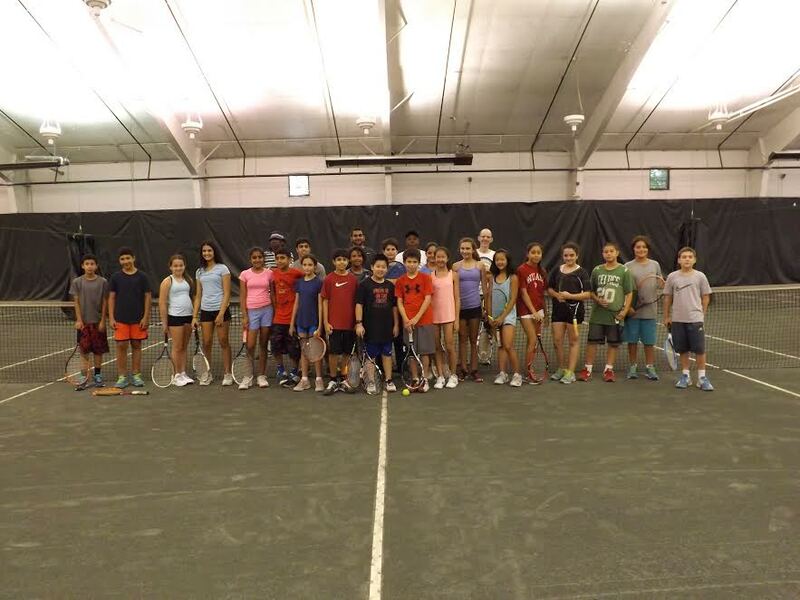 Carefree Racquet Club is proud to celebrate its 25th year of its Junior Summer Camp. The success of the summer program comes from the outstanding facility, fun to win attitude and superior pro staff. Camp hours are from noon to 5:00 p.m. Students come in fresh and relaxed with energy, and ready for action. 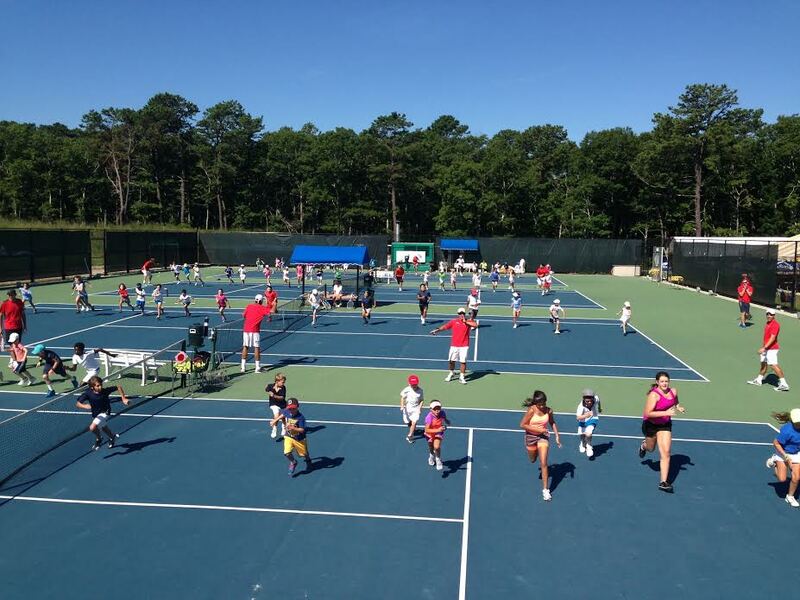 Carefree’s Junior Summer Tennis Camp is the most flexible on Long Island. You can attend full-time (eight weeks, five days a week) or a fewer number of weeks. You can also attend just two or three days a week if you’d like. You can even come just once a week, but Carefree bets that if you come once, you’ll want to come twice! So come on down and see for yourself … the staff at Carefree Racquet Club will be waiting! 65 Columbia Road ♦ Morristown, N.Y.
A commitment to excellence! 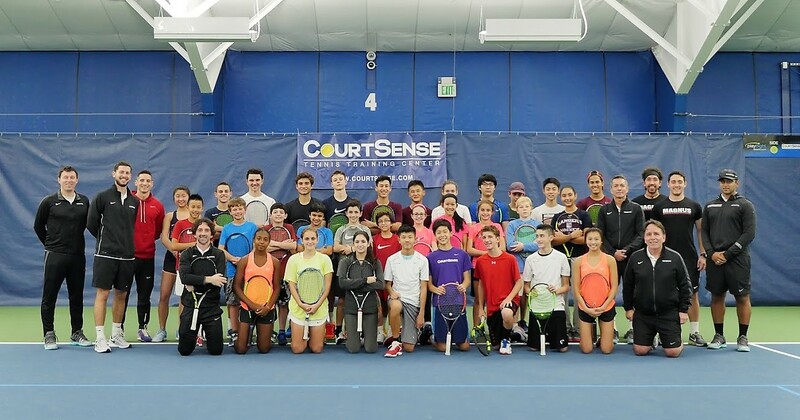 Centercourt Performance Tennis Academy has quickly earned the reputation as one of the sport’s premier destination for player development in the Northeast. With access to 50 tennis courts (hard, HarTru, red clay and indoor hard), Centercourt’s tennis camps are a perfect opportunity for players to refine and develop their skills in a short period of time. Why choose Centercourt? ►Train in a world-class environment with high-performance level coaches from around the world. ►Achieve significant individual improvement in all facets of the game, including technical, physical and mental aspects. ►Centercourt is dedicated to meeting the individual needs of each and every one of its players. 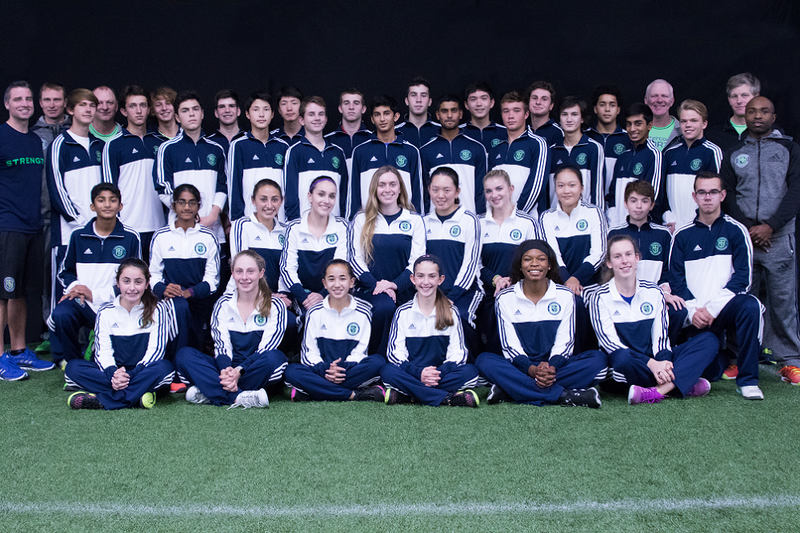 ►Academy players are among some of the top Sectional-, National- and ITF-ranked players from around the country. ►Centercourt puts the needs of the player first, in a development-focused model of training. ►Each camp is tailored to the skill levels and goals of the players; featuring small group training, match play, individualized fitness plans, mental coaching and video analysis. 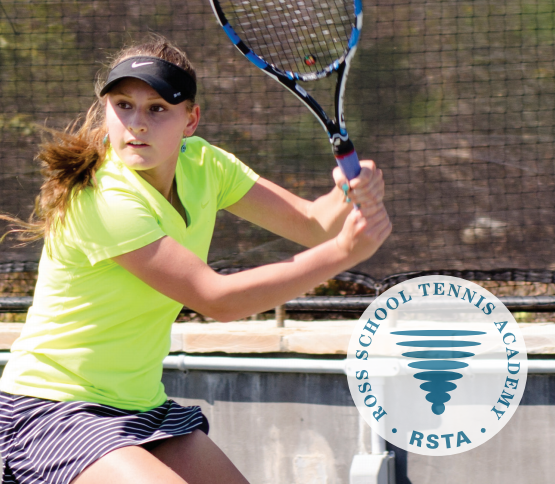 Centercourt Performance Tennis Academy provides a superior junior player pathway that satisfies the needs of Sectional- and Nationally-ranked juniors. Centercourt Performance Tennis Academy offers programs with rolling admissions year-round and Summer Camp from June 11-Aug. 31. 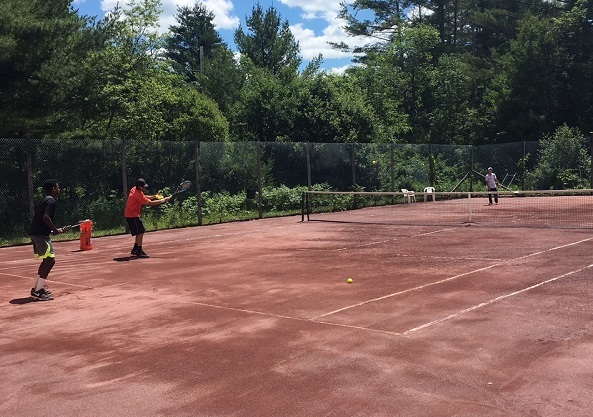 Chris Lewit Tennis Academy (CLTA) Summer Camp is a serious high performance sleepaway and day camp set in the natural paradise of Vermont. Players have the opportunity to train personally in very small groups with Chris Lewit, one of leading high-performance junior development coaches in the United States. Chris is known as an expert in technique and biomechanics, and in Spanish training methods. He has developed numerous top 10 nationally-ranked juniors, many of whom are now graduating to the pro circuit. He also has experience building the foundations of many young prodigies. Campers live in a charming Vermont Inn and have exclusive use of a private tennis club, CLTA Vermont, which offers both outdoor red clay courts and indoor hard courts in the event of rain, gym, yoga studio and clubhouse. The camp features daily morning yoga and mindfulness training from a certified master yoga instructor and an injury prevention program overseen by a former Canadian Olympian. CLTA offers a unique teaching system based on the Bruguera Method from Spain, as well as other European influences based on Chris Lewit's travels abroad. Author of the best-selling book, The Secrets of Spanish Tennis, Chris has spent the last 11 years studying with many of the legendary coaches in Spain and Europe. He brings the most cutting-edge training methods from Europe back to the U.S. for his students. All students receive personal coaching and mentoring directly from Chris Lewit, and are supported by his trained staff of top college and ATP players. For more information, contact Chris directly to discuss your player's summer development plan by e-mail at Chris@ChrisLewit.com, call (914) 462-2912 or visit ChrisLewit.com. 500 Searingtown Road ♦ Roslyn, N.Y.
Christopher Morley Tennis is offering summer tennis camps from June 25-Aug. 17 at two great locations: Christopher Morley Tennis (10 & Under Tennis) and Port Washington Tennis Academy (Tennis Intensive Programs). Give your children an amazing summer experience, while they learn and enhance their tennis skills, play exciting games, meet friends and make memories that last a lifetime! 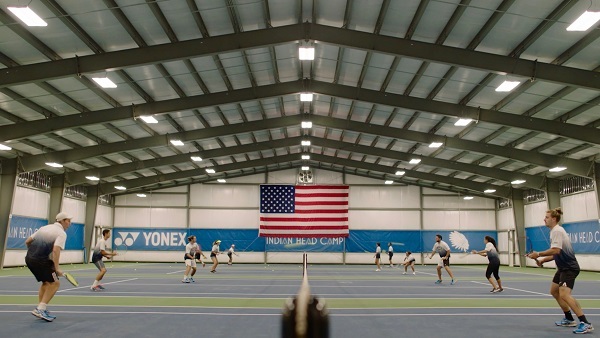 Our 10 & Under players will utilize the courts and outdoor facilities at Christopher Morley, while our intermediate players will play on the beautiful indoor courts located at the Port Washington Tennis Academy. A shuttle bus will be provided to bring campers from CMT to PWTA and back each day. Lunch and snack is included. Our world-class professional coaches will evaluate students to place them in groups and customize programs to meet their developmental needs. Daily schedule includes instructional skills and drills, situational drills and games, match play and multi-sport activities. For any inquiries or to register please contact us at (516) 214-1900 or at Info@CMTTennis.com. 156 W Main Street ♦ Bogata, N.J.
505 Ramapo Valley Road ♦ Mahwah, N.J.
With CourtSense, you’ll achieve your personal best, because our training is of the highest professional caliber–and easily tailored to suit your age and skill level. We use tennis as a vehicle to teach life lessons by tapping into the spirit of every player, with lots of passion, expertise and character. Our students have access to 32 outdoor and 15 indoor tennis courts and to the revolutionary PlaySight smart court system. High Performance Summer Tennis Camp at Bogota Racquet Club and/including Overnight option at Ramapo College. This camp is geared towards High Performance Tournament and high level High School players. We have trained and currently are training players who have become ATP- and WTA-ranked players, U.S. Olympians, as well as many college scholarship athletes. Our International High Performance Coaches, in collaboration with our fitness staff and a sports psychologist, have developed a program that maximizes all our athletes’ strengths both on and off court. ►Full Day High Performance Tennis Camp at Bogota Racquet Club runs from June 25-Aug. 24 (nine weeks), featuring 10 hours of tennis training; five hours of fitness and eight hours of match/point play) for players ages 11-18. Campers will have access to outdoor and indoor hard and clay courts, with a 3:1 student-to-coach ratio. Weekly dual matches with other academies, and mental toughness training are also included. Transportation service provided from Bogota Racquet Club. ►Sleepaway Option at Ramapo College runs from June 25-July 20 (four weeks), featuring 10 hours of tennis training; five hours of fitness and eight hours of match/point play) for players ages 11-18. Campers will have access to outdoor and indoor hard and clay courts, with a 3:1 student-to-coach ratio on a beautiful college campus. Campers will have access to an indoor swimming pool and lunch is provided at a brand new, air-conditioned cafeteria. Two players per fully air-conditioned room with their own shower and bathroom. Round-trip transportation service from Tenafly and Bogota Racquet Clubs. ►Depending on the needs of the players and based upon their tournament schedule, the first four weeks, the high performance players will train either on outdoor clay courts or on outdoor hard courts, and in case of inclement weather on indoor hard courts at Bogota Racquet Club. Coach Ed Krass' 30th Annual College Tennis Exposure Camp, for ages 14-18, offers intense instruction and on-court coaching during match play competition by head college coaches representing every level of the college game. Players interact on-court with head college coaches as they work to improve their tournament game and receive college recruiting guidance during classroom sessions. 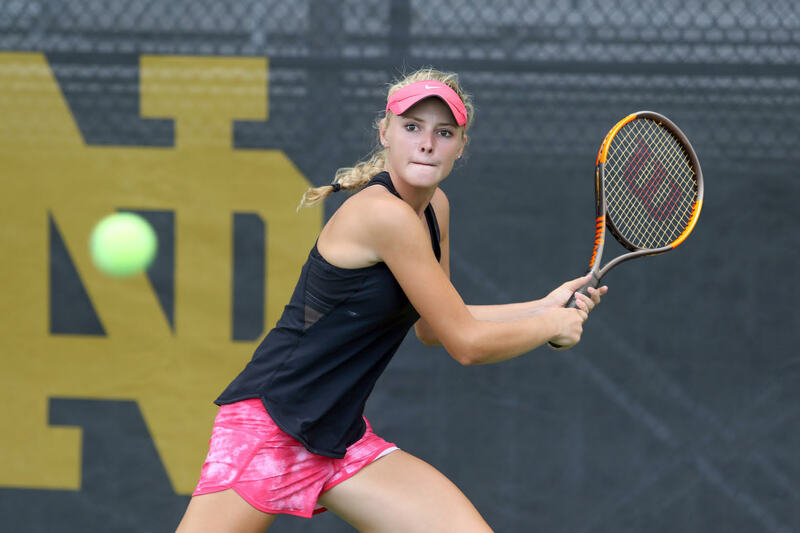 To help players enhance their UTR ratings, singles and doubles matches played during afternoon sessions at Lehigh University as well as matches played during the second day of camps at Coastal Carolina University and Old Dominion University will be reported to the UTR. Head college coaches will provide on-court coaching to all players during their match play competitions, including matches played for UTR reporting. Coach Ed Krass, Founder and Director of the College Tennis Exposure Camp, has coached varsity tennis teams at Harvard University, Clemson University and the University of Central Florida prior to founding the College Tennis Exposure Camp. During the Summer of 2018, Coach Ed Krass will offer two-day camps at Coastal Carolina University, near Myrtle Beach, S.C., from June 23-24; at Old Dominion University, near Virginia Beach, Va., from June 30-July 1; and at Brandeis University, near Boston, July 28-29. Hotel group rate discounts are available for families enrolled in all two-day camp locations. Four-day overnight camps will be offered at Lehigh University in Bethlehem, Penn., July 15-19 and July 21-25, as well as a 10-day overnight camp July 15-25, for players seeking maximum instruction, match play and exposure to college coaches. The residential camp at Lehigh University includes air-conditioned dormitory accommodations, healthy cafeteria meals and 24-hour adult supervision. 10334 Diego Drive South ♦ Boca Raton, Fla.
2. 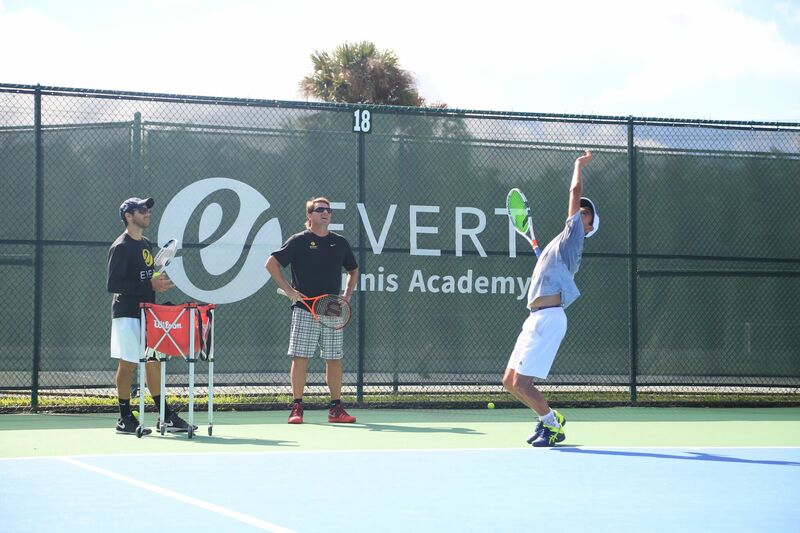 Facility/boarding: Evert Tennis Academy is one of the only academies to provide boarding services for any student wishing to stay only steps away from the courts. Our eight-acre facility provides a safe environment nestled in the beautiful and secure Mission Bay residential neighborhood, surrounded by lakes, manicured lawns and lush Floridian foliage. At Future Stars Summer Camps we play with confidence, enthusiasm and a genuine love of the game! Stop by our regular on-campus open house events to view the facilities, meet the directors, and take advantage of enrollment savings. 1000 Fulton Avenue ♦ Hempstead, N.Y.
Each child is instructed according to their ability and previous training is not required. Most lessons are taught in the form of a game. Additionally, all of Hofstra’s instructors have been trained in the 10 & Under Tennis/Quick Start program, the newest approach to teaching tennis to youngsters 10 years of age and younger. QuickStart is sanctioned by the USTA and its format takes a new approach to introducing kids to the game. 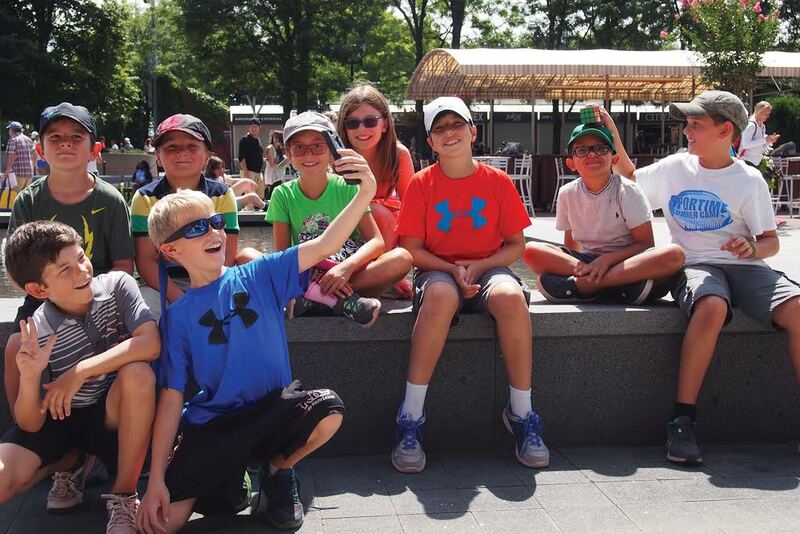 Campers spend half the day in tennis and the other half participating in swimming, recreation and special events. Transportation and lunch are included in tuition. No instructors are below college age. Tennis Camp Directors Sunny and Eddie Fishkind have been running the camp for more than 30 years and have won many awards. 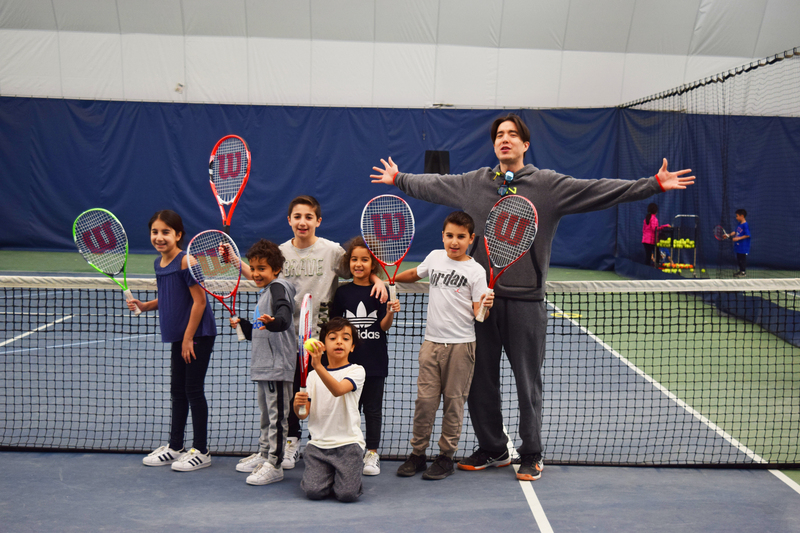 Indian Head Camp Tennis Academy (IHCTA) is the best of both worlds — part world class tennis academy and part summer camp where kids can truly enjoy what we call Childhood Unlimited. Take your child's game to the next level with one week of competitive and challenging tennis filled with zip-lining, water-skiing, and other fun outdoor summer activities. We take pride in providing the tools to prepare our campers not only for tennis competition, but to deal with life situations through instilling the importance of work ethics, discipline, consistency, goal setting, respect, team work, responsibilities, accountability, and compassion. 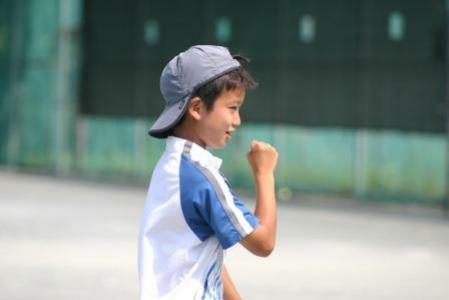 At IHCTA we believe every child should have the opportunity to enjoy the wonderful game of tennis. That’s why our program welcomes a wide range of playing levels and experiences, from the tennis enthusiast who is only starting to take the sport seriously, to the intermediate player thinking about trying out for their school varsity team, to the High Performance player training every day and competing in USTA and ITF tournaments. Visit us at: www.indianhead.com/tennis for dates, rates and more information. We offer pick-up and drop-off from airports and the NY and LI areas. Locations include: Robbie Wagner’s Tournament Training Camp (Glen Cove, N.Y.); Lawrenceville School (Lawrenceville, N.J.); Julian Krinsky School of Tennis (Villanova University and Haverford College); Randy Mani Tennis Academy at Hardscrabble Club (Brewster, N.Y.); Colgate University (Hamilton, N.Y.); and Chirico-Cohen Tournament Training at Chestnut Hill College (Chestnut Hill, Pa.). 142 Montauk Highway ♦ West Hampton, N.Y.
Sportime EXCEL and JMTA Training Camps train 52 weeks a year. 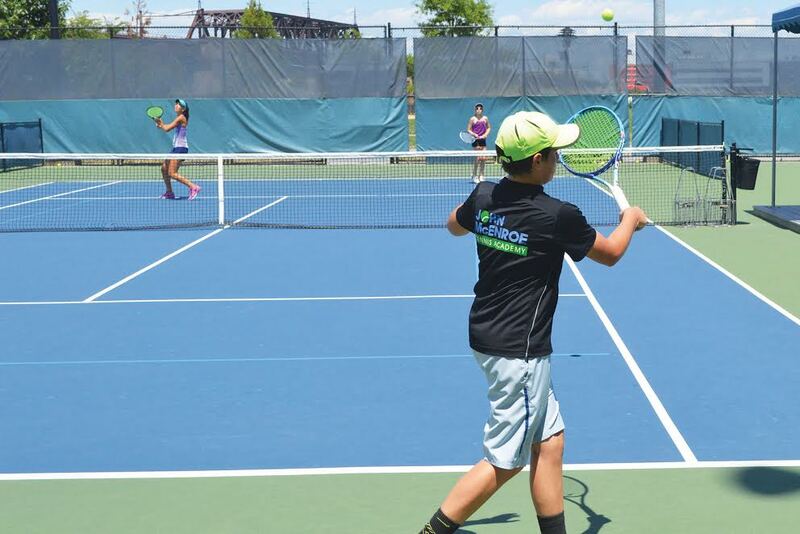 With multiple Tennis Camp locations across Long Island, in New York City and in Westchester, aspiring tennis players can experience Sportime and the John McEnroe Tennis Academy’s premier tennis training programs for recreational and aspiring junior players of all ages and abilities. Sportime’s training methods are fun and fast-paced, featuring stroke production, competitive games and tactical training for match play. Innovative tennis training techniques and tennis-specific conditioning regimens help newer players learn and enjoy and prepares serious juniors for the physical, mental and emotional demands of the sport of tennis. Sportime campers develop positive self-esteem and laser-like focus. The program is dedicated to turning weaknesses into strengths and strengths into winning games. 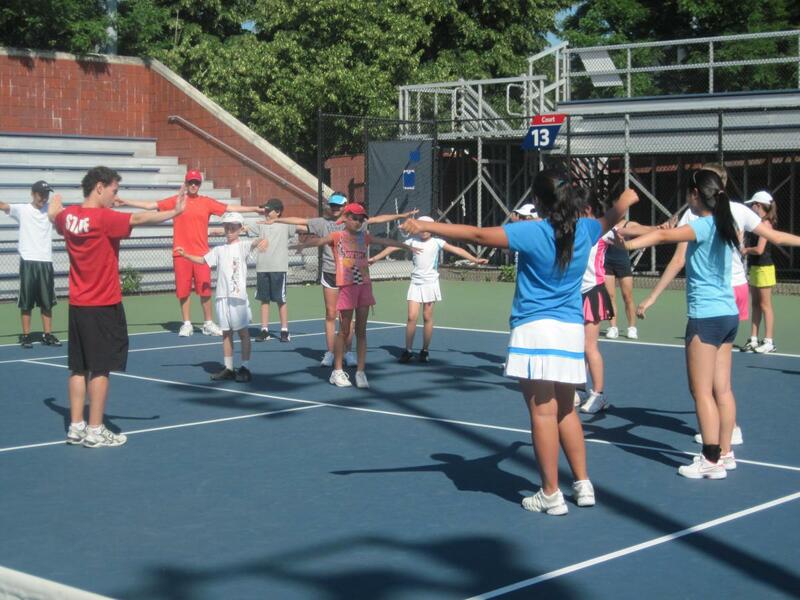 Tennis programs vary at each camp location. Visit SportimeCamps.com to find out more information on Sportime EXCEL and JMTA Tennis Training Camps. ►And … SPORTIME knows how to make camp fun! From preschoolers to older kids who love tennis and sports, each Sportime camp challenges a child’s abilities, while enhancing their self-esteem and providing positive social interaction. Programs and facilities vary at each camp location. High-level tennis, volleyball and hockey-specific camps are also available. Go to SportimeCamps.com to find the perfect camp for your child. Tennis @Ross is a beautiful tennis facility in the Hamptons that is open to the public and located on the Ross Upper School campus in East Hampton, NY. The tennis center features six Har-Tru tennis courts that are enclosed by a bubble from mid-fall through mid-spring, allowing for year-round play. The courts are directly adjacent to the state-of-the-art Field House, featuring amenities such as locker rooms, lounge, snack bar, and ping-pong tables, and the staff provides a fun and supportive atmosphere that allows for the greatest amount of success. 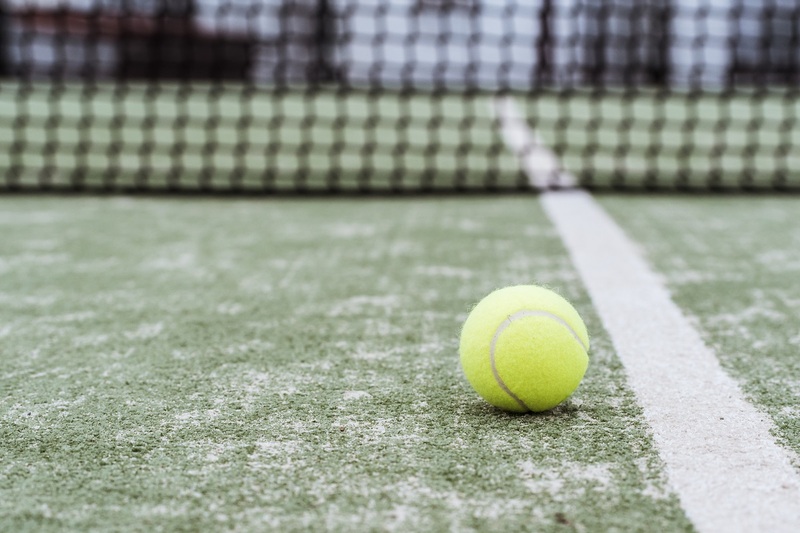 After-school programming, a dynamic program for junior tennis players, and specialized summer programs are offered to make Tennis @Ross the place to play tennis in the Hamptons. ►Grades 5-12, Monday-Friday from 8:30 a.m.-3:00 p.m. This is a specialized U10 training program designed for our youngest serious tennis players entering grades 1-4 who already play more than two times per week. All training is with orange and green dot balls and includes a daily fitness and match play component. Players must be able to serve and keep score. Space is limited and tryout required. ►Train on six impeccably maintained Har-Tru courts and two hard courts in preparation for USTA tournaments. ►Four hour tennis practice daily (plus one hour of fitness) in small group and private sessions with the highest level players and coaches from around the world. ►Daily Match Play component and weekly Interclub tournaments for maximal competition practice. ►Daily lunch at the renowned Ross Café featuring the healthiest and most abundant variety of locally grown, farm-to-table style, delicious food. Players reside in luxurious boarding houses with students from around the world and take part in weekend and evening excursions to local Hamptons activities or New York City. Program runs rain or shine–there is always a new part of the game to discover and explore. Additional private training, sports psychologist sessions and coaching are available for a fee. Options to add an Academic Morning including Math, ESOL, and Test Prep is available. 142 Glenwood Road ♦ Glenwood Landing, N.Y.
Our comprehensive program will provide your child with all the resources necessary to reach his or her maximum tennis potential. The Early Hit Training Center incorporates all aspects of the game into our complete program. A thorough warm-up, the student will work through the core components of tennis, including stroke production, drilling and physical fitness training before breaking for a healthy lunch. We focus on playing dynamics and strategy, and reinforce these lessons with focused match play. A thorough cool-down and stretching session completes a world-class day of tennis for your child. With our team of renowned tennis teaching professionals, experienced physical conditioning trainers, movement experts and on-site chef, the Early Hit Training Center offers a unique and total tennis experience. Flushing Meadow-Corona Park ♦ Flushing, N.Y. 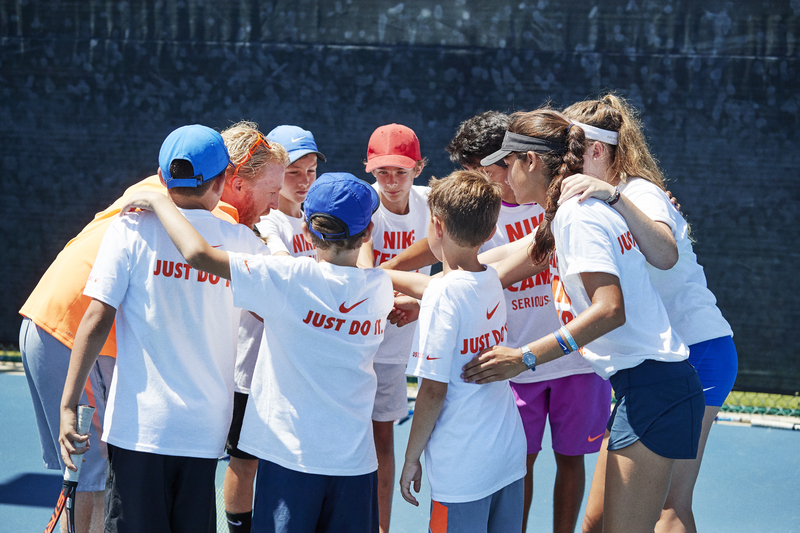 The USTA Billie Jean National Tennis Center will once again offer seven weeks of fun in the sun tennis day camps starting in June. Enrollment will soon be available online and you may choose registration for one, two or as many as seven weeks. The weekly program runs Mondays through Fridays, 8:30 a.m.-5:30 p.m., with a one-hour lunch break or a twilight session from 4:30 p.m.-7:00 p.m. The number one brand in tennis. The nation’s top college tennis coaches. The camp where young players fulfill their potential. Beautiful college campuses set the background for the Wilson Collegiate Tennis Camps. It’s here where boys and girls, ages 6-18, experience learning through a structured curriculum. Catering to all skill levels, our camps offer 5 1⁄2-6 hours of tennis daily. Each camper receives personal attention, advanced teaching techniques, intensive drill work and game / match play, all in a fun and competitive environment. We break the campers into small instructional groups of similar age and ability so each child is working in a group that is commensurate with their experience level. We tailor each program to the level of the players. Beginners would get a heavier dose of swing technique and fundamentals, while more advanced players would have more focus on strategy, point building and percent-age tennis etc. Long Island, N.Y. 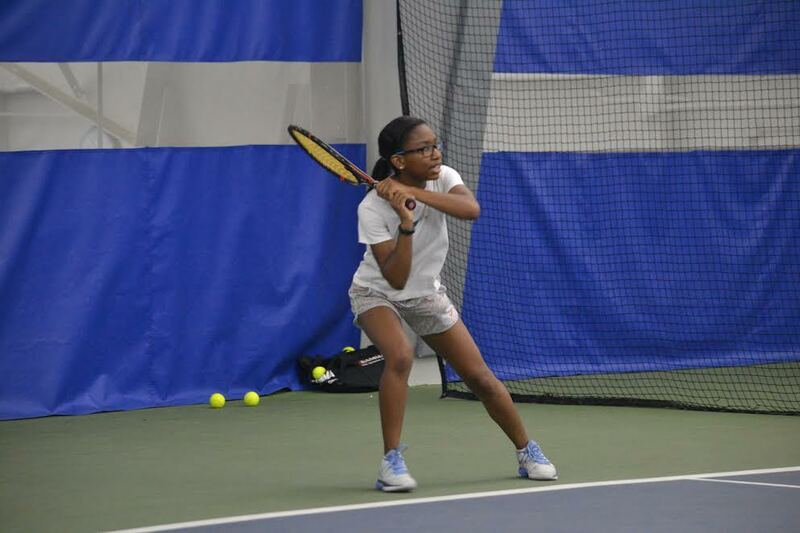 Locations: Long Island University-Post: A brand new location for 2018, The Wilson Collegiate Tennis Camps at Long Island University Post will offer eight action-packed weeks of camp. 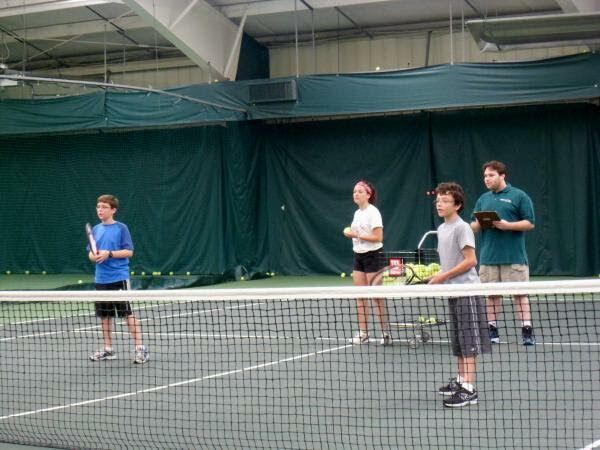 This skill building day camp will be directed by Walter Giacometti, Head Women’s Tennis Coach at LIU Post. 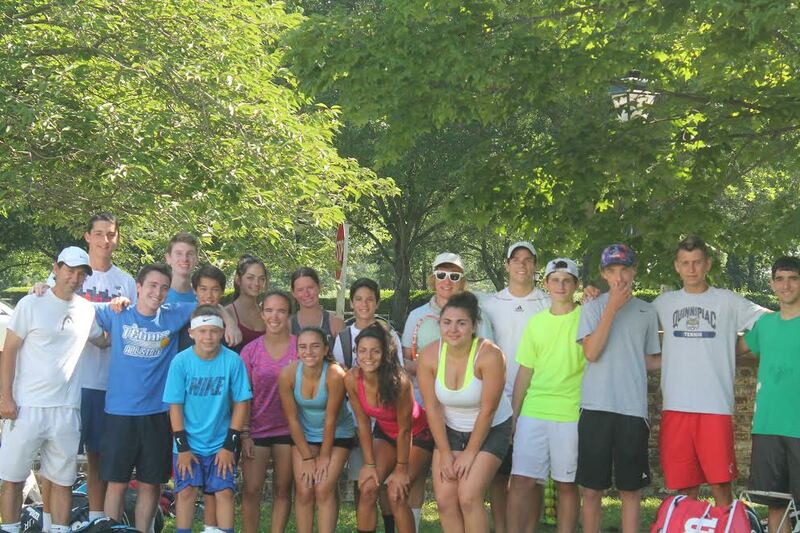 Manhassett: The Wilson Collegiate Tennis Camps at Manhasset will offer 10 action packed weeks of camp. This skill building day camp will be directed by Walter Giacometti, Head Women’s Tennis Coach at LIU Post. 1215 Roxbury Road ♦ Roxbury, Vt. Since 1968, children have come to Windridge from most of the 50 states and many foreign countries to share in the Windridge experience. Campers make a commitment to hard work, good sportsmanship, and wholesome fun and laughter. Within a warm and friendly environment, campers make lifelong friends while learning skills for life. Windridge offers “majors” in tennis, soccer and horseback riding, and also offers many elective programs, such as golf, mountain biking, archery, a ropes course, basketball, volleyball, arts and crafts, and more. Windridge adds to this, a wide variety of exceptional evening activities and special events to create a well-rounded experience for each camper.